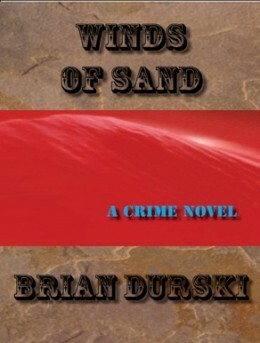 The novel – Winds of Sand, is the second book in the Bluebird Series. It continues the saga of Scott Lawford’s life. Twice in five years, Scott endured tragedy and has transformed from outstanding citizen to master criminal. Meticulous in preparation and cunning in his application, law enforcement is unable to prove his guilt. All clues lead to blind alleys and dead ends. Scott Lawford is a man obsessed with protecting the ones he loves. Friend, or family member, it doesn’t matter. You harm or threaten the ones he loves; be prepared to suffer the consequences. As the novel progresses, you will have numerous options as you discover facts. You could inform law enforcement of your revelations, or pursue your own course of action. Scott has no confidence in the legal system, or any other official agency. Join the world’s most compassionate serial killer as he desperately tries to find the two men that murdered his family. All he has is a photo of the killers. The hunter is on the move and he will find his prey! 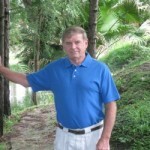 I was born and raised in Akron, New York and have been happily married to my wife Catherine for 48 years. We have three children and eleven grandchildren. I am retired from the Air Force after twenty years and again from Civil Service after another eighteen. We have lived in different areas of the country from Hawaii to Virginia during the many years of government service. Writing is my hobby and Catherine's assistance has been invaluable as my editor and advisor.